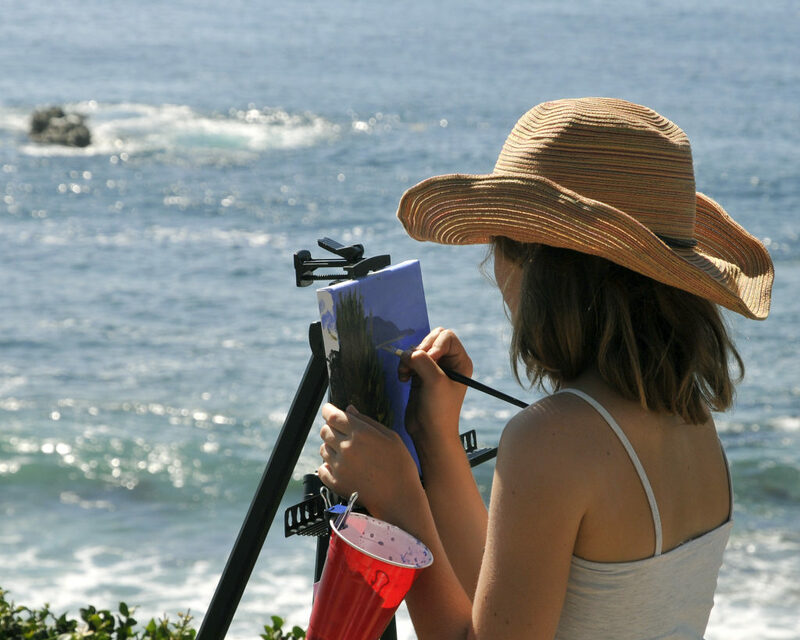 Nearly 50 local school children have been invited to gather in Heisler Park for the Annual Kids Plein Air Invitational Paint Out on Monday October 8th from 10:00am to 1:00pm. Children from each grade level, 4th through 12th, are invited through their schools to come outdoors for a plein air painting experience. Each grade level is paired with a professional artist and mentored in the creation of a plein air painting from start to finish. The masterpieces created by the young artists will be exhibited at the Laguna Festival of Arts during the Collectors Gala and the Invitational Art Show. The paintings are offered for sale with 100% of the proceeds to be donated to the child’s participating school. Each participating child receives a plein air painting kit to take home and continue painting. 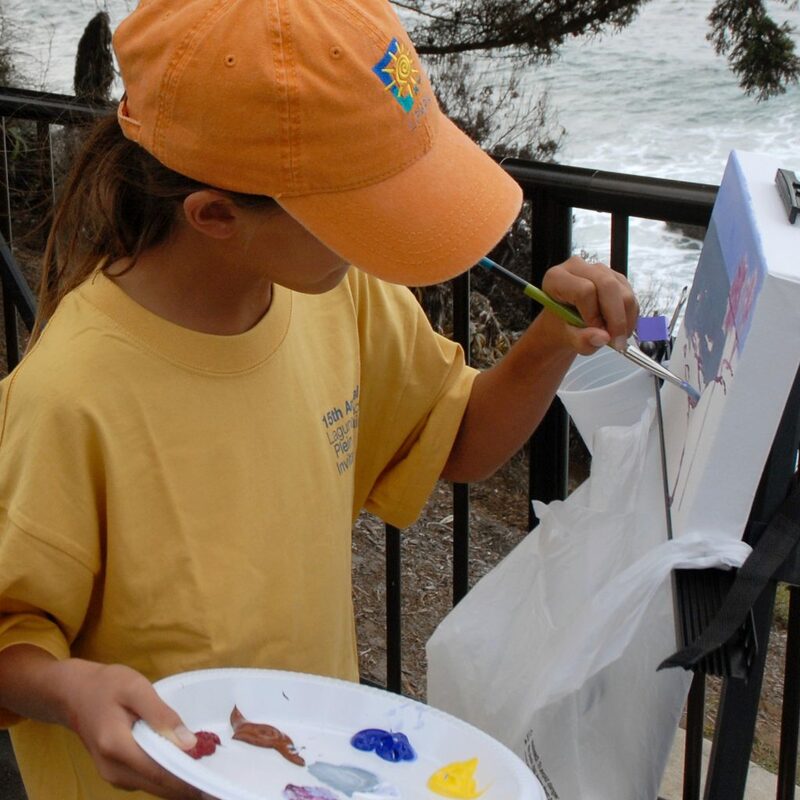 LPAPA is able to offer this program to the schools and kids free of charge through support provided by The City of Laguna Beach & its Lodging Establishments, The Festival of Arts Foundation, Blick Art Materials, and The National Charity League Laguna Chapter. Click the highlighted links to learn more about LPAPA’s Kids Paint Out and LPAPA’s Plein Air Project youth education programs that are intended to inspire the next generation of plein air artists to continue the tradition in our community!